A late header from Vanuatu defender Brian Kaltack was the difference for Lautoka this evening as they became the first Fijian side to feature in the semi-finals since 2015 after beating AS Dragon 2-1. “I think we could have scored if we were on target, we rushed a lot as I think we created a lot of chances. “Nothing can be taken away from Dragon, they are a great team and played very well. They knew what they were doing and had the game plan and for us now, we start to move forward. “We’ll see what we can do in the semi-finals,” Lautoka coach Kamal Swamy said. It was a tentative start to the OFC Champions League quarter final from both sides at Stade Pater in Tahiti this evening with the magnitude of what was at stake foremost in their minds. Dragon won possession early and made the most of having veteran Marama Vahirua back in action following injury. The former Ligue 1 midfielder controlled the game for his side with a lot of the action directed through him. Lautoka were relying on the skill of the competition’s leading goal scorer Benji Totori as their point man up front and he didn’t disappoint with a number of excellent effort from distance denied by the woodwork. And it was the veteran who set up 23-year-old Praneel Naidu who opened the scoring when he poked the cross from Totori between goalkeeper Gilbert Meriel and his back post in the 27th minute. The pace of the Fijians continued to cause problems for Dragon but Meriel was in great form this evening putting up some excellent saves to deny Totori and Fijian front man Osea Vakatalesau. Dragon applied pressure and it paid off when they were awarded a free kick 30 metres from goal which was taken by none other than Vahirua. A perfectly weighted delivery was met by captain Tamatoa Tetauira who got his head to the ball to knock it out of Beniamino Mateinaqara’s reach. It was almost a double in quick succession when the pair once again combined but Lautoka were up to deny them and hold the score at 1-1 going into the break. Dragon got the second half underway with an impressive 35m long range shot from Tetauira but it did little to challenge their opponents. Lautoka missed several great opportunities of their own with both Totori and Vakatalesau denied. With extra time looming it was Lautoka’s two foreign exports who combined to put the match to bed as Brian Kaltack met a corner from Cory Chettleburgh in the 89th minute to secure victory for the visitors. For Dragon, the journey may be over but after a promising campaign Timiona Asen is already looking to the future. “We finish the Champions League tonight and now it’s time to start thinking about the league and next year’s regional competition. 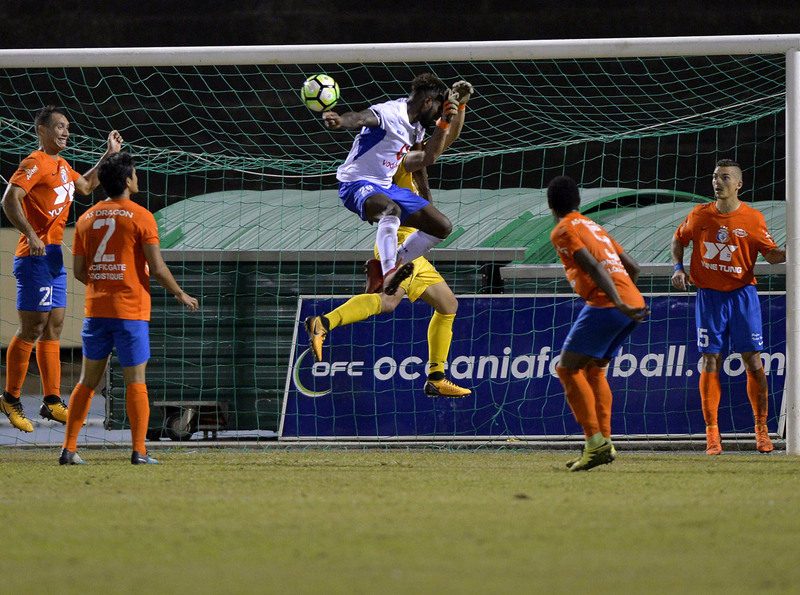 The first leg of the OFC Champions League semi-finals will be held in Wellington, Team Wellington vs. Auckland City FC, and Lautoka, Lautoka vs. Marist FC, on the weekend of the 21-22 April, with kick-off times to be confirmed.